The funeral will be Friday at 10 a.m. from the Frank T. Mazur Funeral Home, Inc., 601 Dundaff St., Dickson City with a mass of Christian Burial at 10:30 a.m. in St. Mary’s Visitation Church, Dickson City. Friends may call Friday morning from 9 to 10 a.m. at the funeral home. Interment will follow at St. Mary’s Cemetery, Dickson City. In lieu of flowers, memorials may be made to the East Benton United Methodist Church, Jordan Hollow Road, Dalton, PA 18414. For directions or to leave an online condolence visit the funeral home website. Ceil Theresa Bonczkiewicz, 89, of Dalton, died Wednesday morning April 10, 2019, at home. She was preceded in death by her husband, Joseph Bonczkiewicz. He died in 1970. Born in Blakley, she was the daughter of the late George and Anna Novack Darlak, and she was a member of St. Mary’s Visitation Church, Dickson City, and a former member of it’s Christian Mother’s Society. Ceil was educated in Blakely schools, and prior to retirement, she was employed as a seamstress in the local garment industry. 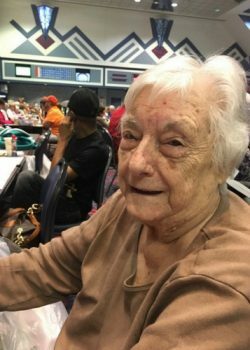 She was a loving and caring mother, grandmother, and great grandmother who enjoyed traveling with her family, and she once met Bob Barker at the Price is Right while on a trip to California. 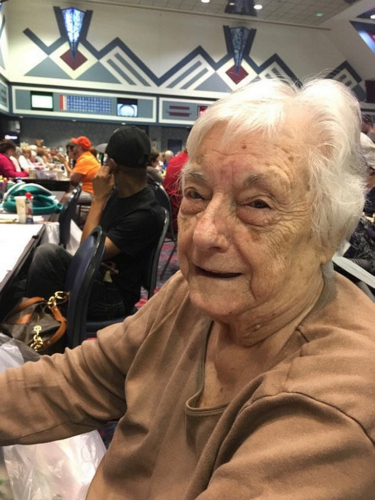 She loved to play bingo, Yahtzee, work on puzzle books, and go to the casinos. She was a wonderful cook, and she liked canning garden vegetables. She relaxed by sitting on her front porch. She will be deeply missed by her family and friends. Surviving is a daughter, Linda Bonczkiewicz, and John Nemeth, Dalton, with whom she resided; a son, Joseph Bonczkiewicz, and wife, Nancy, Justus; grandchildren, Jonathan Nemeth, Melanie Nittenger, and husband, Gary, Karen Prestys, and husband, Michael, and Jessica Warner, and husband Derrick; two great-grandchildren; two sisters in law, Viola Darlak, and Anna Tedick; and a brother in law, Stanley Bonczkiewicz; nieces and nephews. She was preceded in death by a son, Mark Bonczkiewicz; sisters, Blanche Pielewski, Sophie Yausm, and Katherine Bochan; brothers, Michael, John, and George Darlak.